A MAN ploughed his car into a crowd of people in western Germany early Tuesday, injuring at least four in what appears to have been an intentional attack against foreigners, authorities said. The 50-year-old driver of a silver Mercedes first attempted to hit a group of people in the city of Bottrop shortly after midnight, but the pedestrians were able to jump out of the way, Muenster police said. The suspect, a German man, then drove into the center of Bottrop where he slammed his car into a crowd. Police said those hit included Syrian and Afghan citizens, and some were seriously injured. The driver, whose name wasn't released, made anti-foreigner comments during his arrest and there were indications he suffered from mental illness, police said. 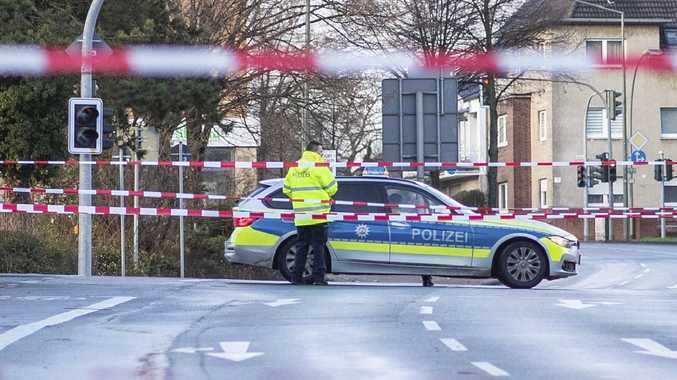 "The man had the clear intention to kill foreigners," Herbert Reul, the top security official in North Rhine-Westphalia state, was quoted as saying by the German news agency dpa. It's not the first time that a vehicle has been used as an apparent weapon in Germany. On Dec. 19, 2016, a Tunisian man ploughed a truck into a busy Christmas market in Berlin, killing 12 people. The attack was claimed by the Islamic State group. The driver, who fled the scene, was later killed in a shootout with police in Italy.